This @cbdsuperfood smoothie bowl is so pretty, you won’t want to eat it! But once you take a bite, your body will immediately thank you. 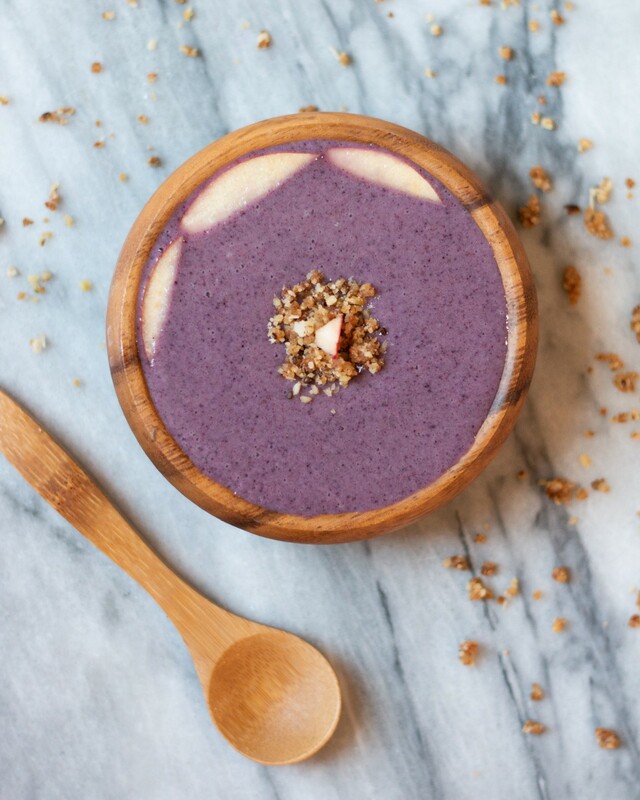 The pretty purple color in this smoothie comes from blueberries, which make this yummy breakfast bowl so antioxidant rich. Antioxidants offer a wide range of health benefits: they can support our immune systems, memory, and mood. They can also promote healthy skin, a healthy heart, and healthy eyes. Ultimately, antioxidants create all of these benefits by supporting internal balance in the body. Our bodies naturally produce antioxidants and free radicals, but require a delicate balance between the two. Free radicals have some benefits — for example, our immune cells use free radicals to kill harmful bacteria — but an overabundance of free radicals in the body can cause chronic illness and disease. Antioxidants fight free radicals and decrease their negative effects in the body. This smoothie is loaded up with blueberries, so you can enjoy all these incredible benefits of antioxidants and the possible benefits of CBD! Enjoy! Optional nutrition boosters: ¼ cup old-fashioned oats and/or 2 tablespoons flax seed. Put all ingredients in a blender and blend until smooth. Enjoy immediately, or place a bowl in the freezer for more of an “ice cream” consistency.